Granite countertops Dallas can automatically transform your kitchen into a wonderful, appealing area. And while this process is deemed a serious business, you still need to have the know-how when it comes to buying and installing, among others. 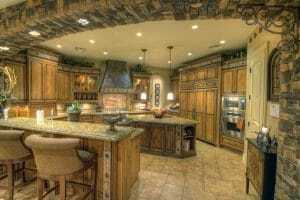 If you are strongly considering granite countertops for kitchen in Dallas, then give these tips below a look-see. They are specifically designed to help you conquer this feat. Remember to grab a pen and paper, so you can write them all down! So there you are, looking at a great wall of granite samples, trying to pick the one. Although it is nice to see all of the available options at the same time, you should know that these samples represent only a fraction of the full slab. For stones that have a consistent pattern this is not an issue. However, when it comes to the more organic and moving patterns, these samples can often be misleading. Use the sample wall more as a quick display of what is available and save the decision making for when you walk out to the yard and see the full slabs. When browsing the yard you may encounter many lighting conditions, often during a single visit. This can make it difficult to see the colors as they are, or compare them with each other. On top of that, your kitchen granite countertops in Dallas will almost always have a different lighting setup, so what you see and like on the yard may look totally different in your home. Not to worry though. This is what samples are for. Take them home, place them on the cabinets or existing countertops and observe how the color fits in and changes over the course of the day. If the color looks darker and less saturated than you remember it from the yard, it may be worthwhile to invest in brighter, daylight balanced, and energy efficient light bulbs. Since countertops are usually installed at the end of a typical kitchen remodel, it may seem counter intuitive to browse the yard and look at granite colors before picking out the cabinets and flooring, but that is exactly what we recommend. Think about it. Wood can be painted or stained to pretty much any shade and color. The same flexibility is available for wall paint, and floors have a plethora of available tiles. The one thing that is not as customizable is your stone countertop. 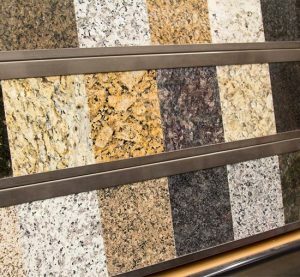 We often see our customers fall in love with a specific granite color, but find themselves with cabinets and flooring that simply doesn’t match. Therefore it makes sense to at the very least check out the available selection, take a few samples with you, and use them as reference when choosing the cabinets, flooring or paint. Are you ready to purchase premium-grade granite countertops for your kitchen? Contact us now at Hard Rock Imports! We will be more than happy to schedule an appointment, so you can check our granite countertops. Give us a call now! PreviousPrevious post:I Just Installed Bathroom Granite Countertops: See the Benefits I GotNextNext post:How to Score the Granite Countertops of Your Dreams!